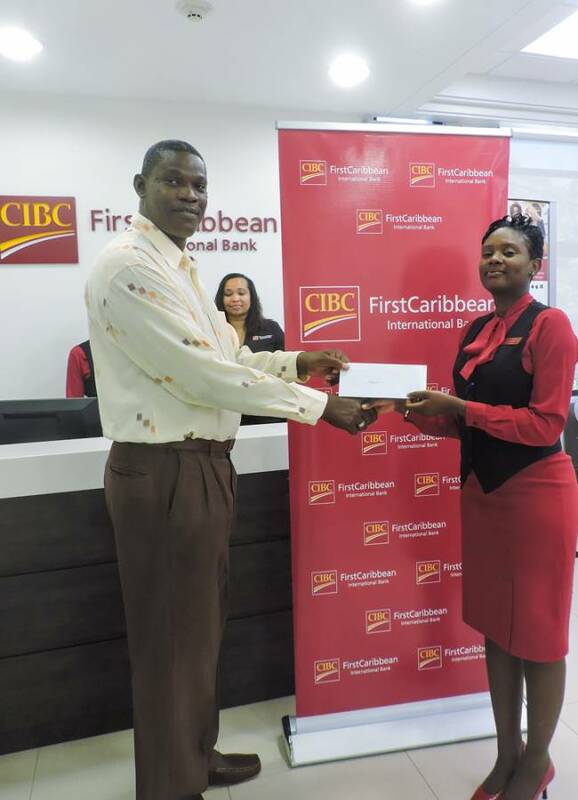 Mr Tyrone Buckmire, Deputy Director of the Legal Aid and Counselling Clinic accepts CIBC First Caribbean donation for the Student Assist Programme from Branch Ambassador, Cherish Nelson. “It is an accepted fact that education plays a major part in breaking the cycle of dependency, and it is therefore, the goal of the GRENCODA (SAP) programme to provide assistance to vulnerable households allowing them tangible means to support and provide education for their children,” said Mr Tyrone Buckmire, Deputy Director of the Legal Aid & Counselling Clinic, a subsidiary of GRENCODA. His comments came as he accepted a financial gift to the organization presented recently by Nigel Ollivierre, Country Manager of CIBC FirstCaribbean International Bank. “We know that education is the key to opening future doors for our young people, many of whom, through no fault of their own, may not have access to a basic educational foundation, which can make an enormous difference in the course their lives may take” Mr Ollivierre said. The period 2015/2016 saw 330 secondary school students of government funded schools, 30 year one and two TAMCC students and 4 NEWLO students, receiving assistance via the Student Assistance Programme. CIBC FirstCaribbean has contributed over thirteen thousand dollars to GRENCODA’s Student Assistance Programme, since joining the initiative in 2003 and Mr. Ollivierre gave the assurance of the bank’s continued support.